Yes it’s called Carl, yes I’m 32, no I don’t care. 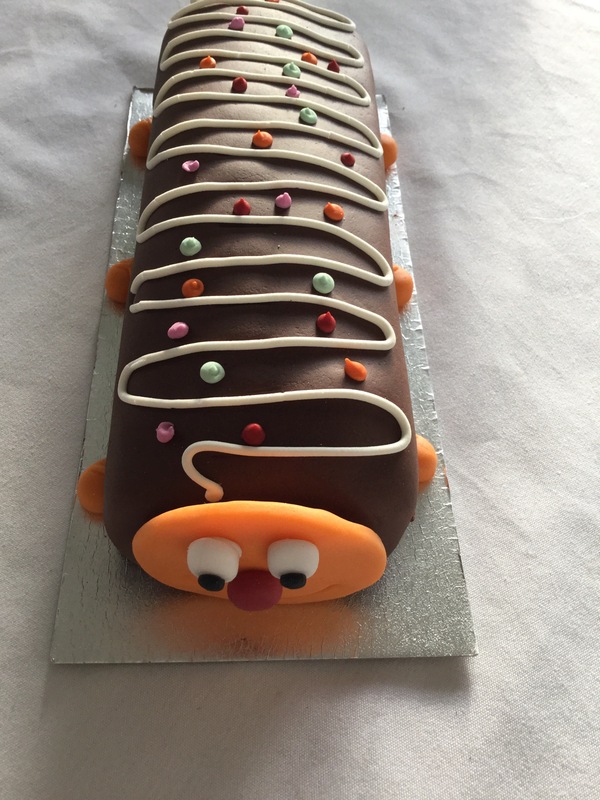 It was my birthday yesterday and having seen this cake being advertised, and being gluten free my inner child said I needed one. Off I went on a mission to find said insect friend. Guess what I found one to. Carl is £6, serves 12 and is a chocolate cake, covered in fondant With chocolate buttercream sandwiching it all together. 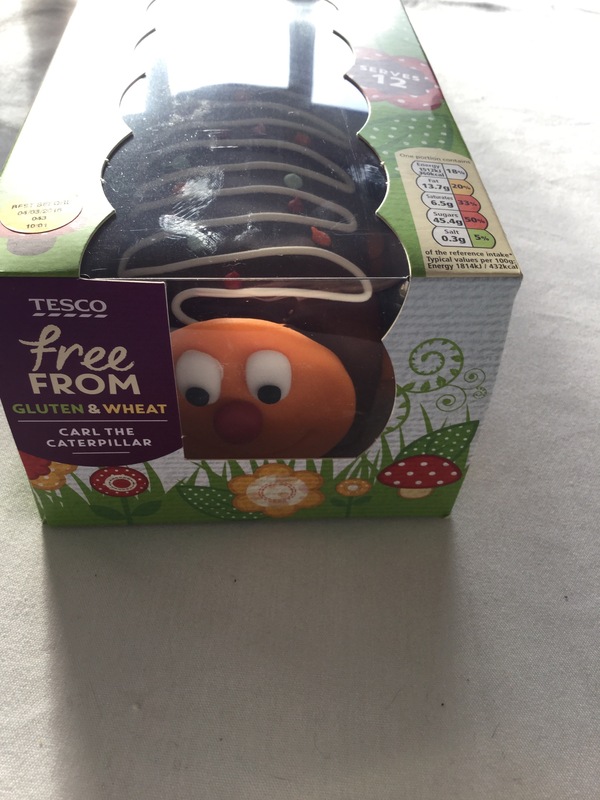 As a tip I found it in the Free From section of Tesco and not with the other cakes in the bakery department. The packaging is bright and eye catching, perfect for all age groups ( the new Easter packaging on hot cross buns is great as well), it even comes on a cake board so can be served straight away. All good bonus points. But really we are all waiting for the taste test. 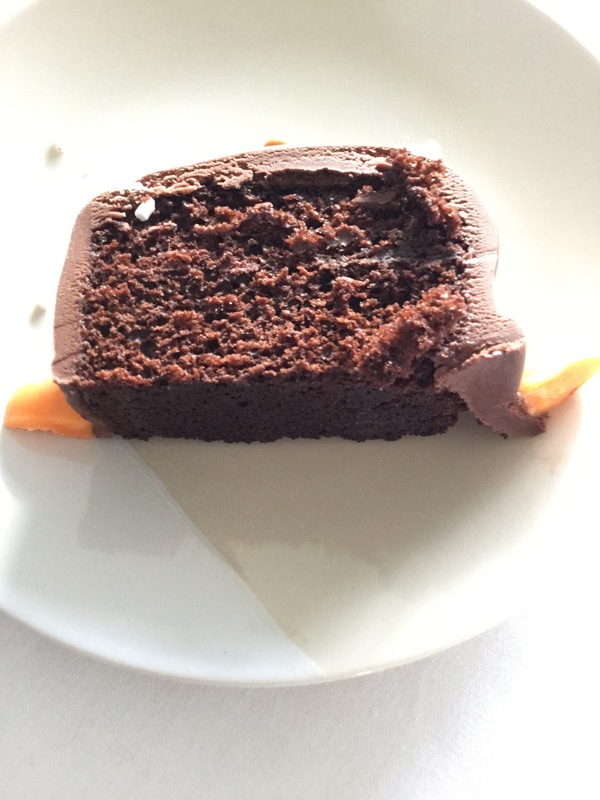 There is a lot of fondant on this cake, which I confess I found very sweet, so ended up picking it off. The cake itself is moist with a fairly generous amount of butter cream and a good chocolate flavour of the actual sponge cake. On the whole I liked it, although It was probably a bit too sweet for me. I do admit I had a minor wobble on eating it when I saw the sugar content, but for a birthday treat and bike ride later I can take it. I can see this will be a winner for children, and it means that no one will be left out and also a godsend for those of us who can’t/ don’t like icing cakes. It’s worth mentioning though that it is unsuitable for nut allergy sufferers – don’t worry I didn’t eat in and glout in front of mini me. I bought a just free tray bake the is 100% nut free. So there we have it, not a bad product and good value for money. Have you found and tried this cake yet? Let me know your thoughts in the comments below. This is adorable!!!! I wonder if I can find this in the US! Or if they ship…haha where in the world was this cake found? Hi it’s from a uk supermarket called Tesco. I’m not sure if they have many/ any US stores. Trying desperately to find one, with difficulty, for a birthday coming up very soon. Although disapointingly they all stock curly the non gluten free catapillar. Seems only the largest stores stock them ( just phoned my nearest huge store to keep one aside to collect). I hope you manage to track one down. Their Twitter team are fairly good at helping find stock I’ve found. Fab, let me know what you think. We were travelling through the UK in June this year and came across Carl in a HUGE Tesco. Even though it was just the 3 of us, my daughter (who’s 21) insisted we buy him. Every afternoon my daughter would remind us that it was time for tea and Carl. Our stateside friends were very curious as to who this Carl was to which we kept referring. LOL. Hubby & I are going to attempt to recreate Carl for our daughter’s birthday next week.